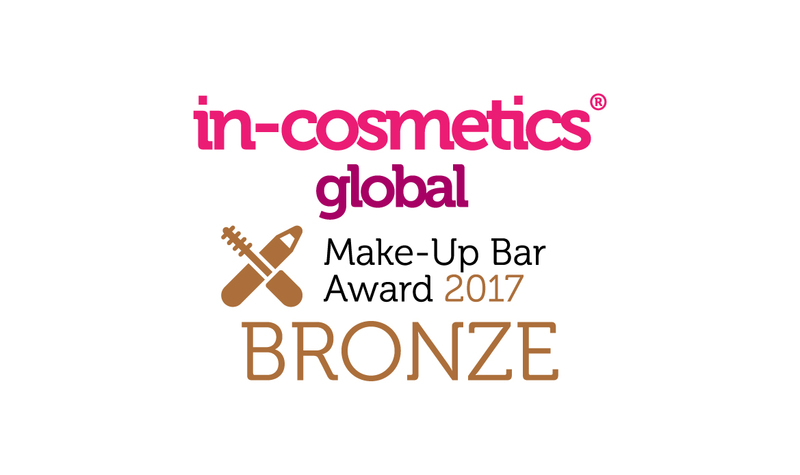 CLEVELAND, April 21, 2017 - The Lubrizol Corporation announces that its Avalure(TM) Flex-6 Polymer has been recognized with a Bronze Make-up Bar Award at the recent In-cosmetics Global event that took place in London, April 4 - 6. A new addition to In-Cosmetics, the award is attributed to the most innovative developments in color cosmetics and make-up. Avalure Flex-6 polymer is a multifunctional water dispersible polymer that acts as an emulsion stabilizer, film former, pigment dispersant and co-thickener, with a unique sensory. It delivers the pigment compatibility, wide pH range and electrolyte-resistant O/W or W/O emulsion stabilization required for formulating today's high performance beautifying products. Its enhanced film forming properties and pigment dispersion capabilities provide rub-off resistant coverage that goes on evenly with a soft, powdery feel. Avalure Flex-6 polymer enables creation of a wide range of sun care solutions, active dermal creams and color cosmetics with luxurious aesthetics. We develop, manufacture and market a broad range of specialty chemicals for skin, hair care, bath and shower, surface care and fabric care. Our innovative ingredients and additives modify physical properties, enhance functional performance and deliver aesthetic benefits to drive key consumer product claims. The addition of Active Organics' botanical extracts and Lipotec's peptide-based active cosmetic ingredients strategically expands our product portfolio and builds upon our current capabilities, formulations expertise and global manufacturing footprint to take innovation to the next level.